For one of the most important writers of the 1910s and 1920s, D.H. Lawrence was strangely neglected by Tauchnitz, which had earlier had an excellent record in identifying and publishing the best works of English literature over a long period. As with James Joyce and Virginia Woolf, Lawrence seems to exemplify the way that Tauchnitz had rather lost its way after the First World War, lost touch with the latest trends in English literature and most importantly become out of touch with its own customers and potential customers. 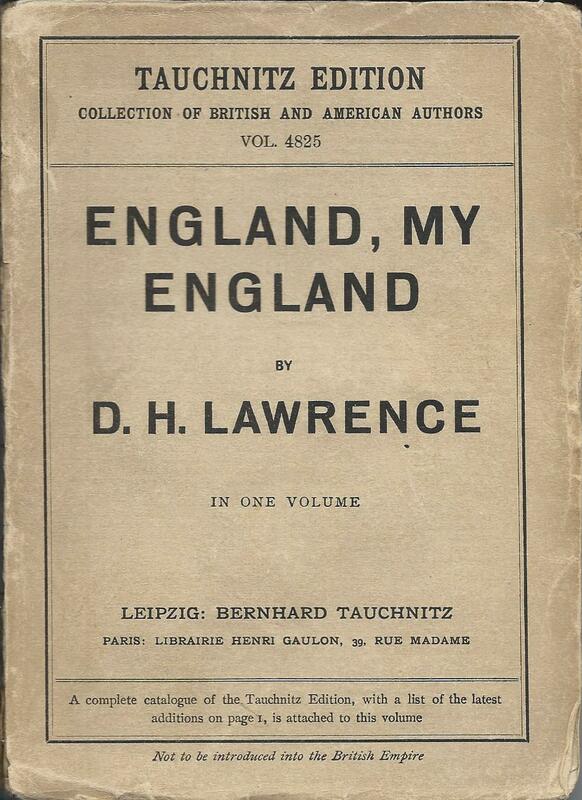 Lawrence didn’t appear at all in Tauchnitz until 1928, when a first short story collection, ‘England, my England’ was issued as volume 4825. A further book of short stories, ‘The woman who rode away’ (vol. 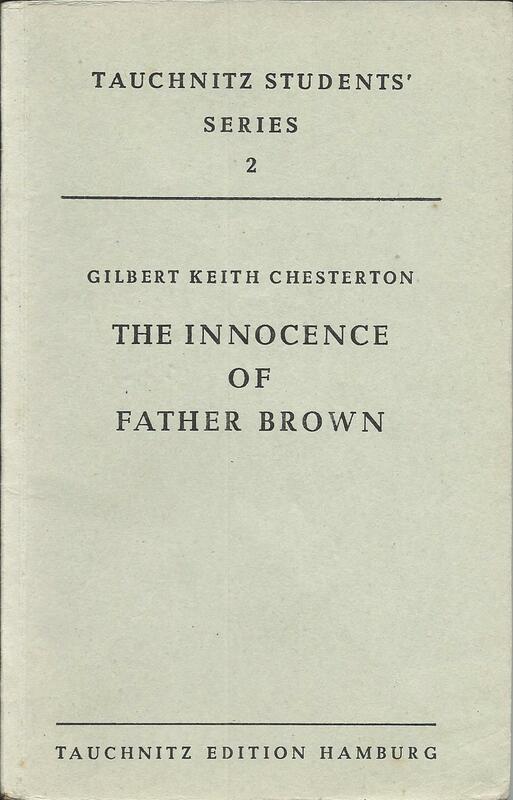 4877) appeared the following year, together with ‘Sons and Lovers’ in a double volume, (4879/ 80), the only one of Lawrence’s full length novels to appear in Tauchnitz. 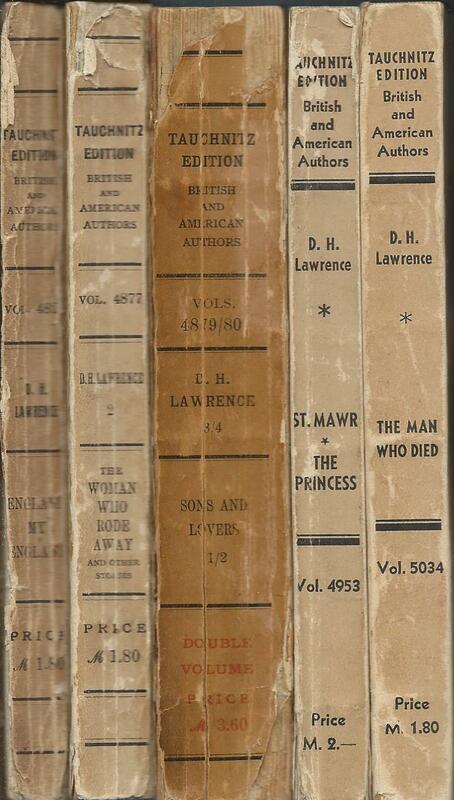 Two further volumes of novellas / short stories followed, after Lawrence’s death in 1930. But 6 volumes, mostly of his shorter works, hardly do justice to the works of one of the greatest writers of the period. In fairness it should be said that this was not the universal opinion at the time. 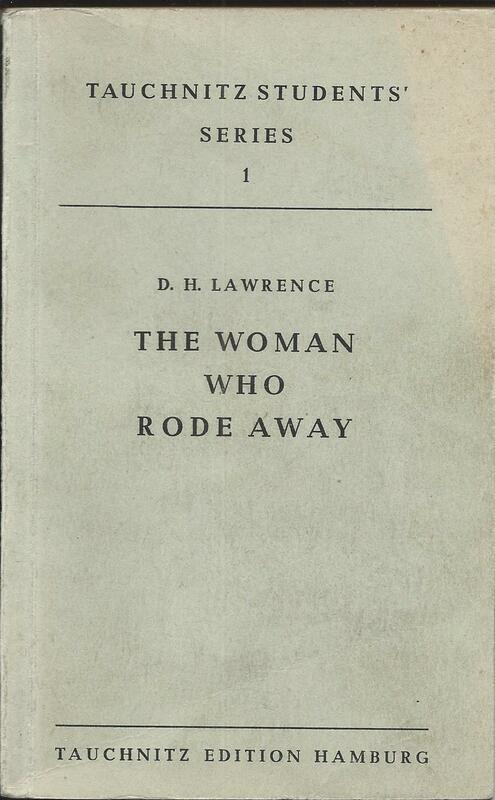 Although Lawrence had many supporters, he also had his critics and was certainly a controversial novelist. Were Tauchnitz influenced by the controversial nature of some of his works, even in advance of the rise of the Nazi party? If they were, they paid the price. Their neglect of Lawrence and other modern authors, was certainly one of the factors that opened up the opportunity for Albatross to attack their market, which they did with spectacular success from their launch in 1932. 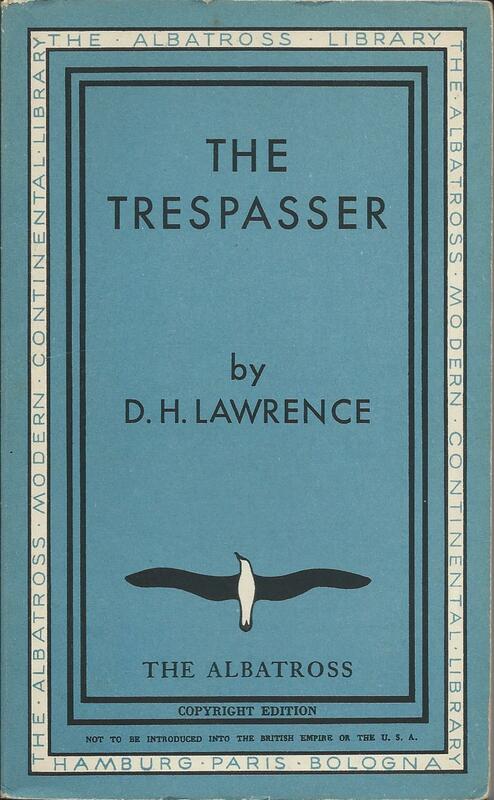 Lawrence’s work was prominent in the Albatross list, with ‘Apocalypse’ and ‘The white peacock’ appearing in that first year, followed by a special edition of ‘Lady Chatterley’s Lover’ in 1933 (published in plain covers by the Odyssey Press, but effectively Albatross volume 56). By the time the series reached 100 volumes it already included 7 volumes of Lawrence – more than of any other author – and by mid 1934 when the editorial departments of Albatross and Tauchnitz merged, the volume count stood at 8 in Albatross and 6 in Tauchnitz. Running two different brands and series required some decisions about which authors should go in which series, and it’s not obvious looking back exactly how all those decisions were made. In the case of Lawrence though, the decision was effectively made for them. 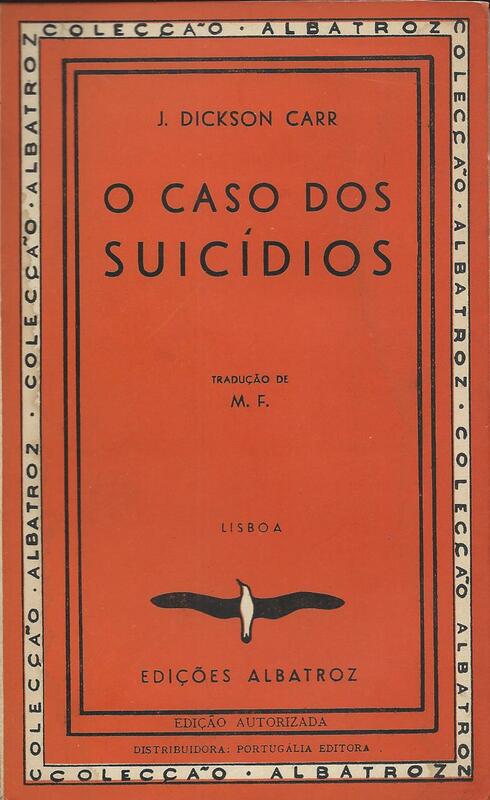 From 1933 his works had been banned by the Nazi party in Germany, which made it almost impossible for them to be included in the Tauchnitz series, so it was Albatross or nothing. He and Aldous Huxley, another banned author, seem to have been singled out as prime Albatross authors, and honoured with a ‘Collected Edition’ of their works. Not only were further new works issued in Albatross, but those works already published in Tauchnitz were transferred across as reprinting was required. Although the books were banned in Germany, they were nevertheless printed in Leipzig, with distribution organised from Hamburg. The publication and sale of an important Collected Edition of Lawrence’s work seems to have gone on under the nose of the Nazis. Four of the five Tauchnitz volumes of Lawrence were reissued in Albatross, including ‘Sons and Lovers’, issued as volume 292 in 1936. 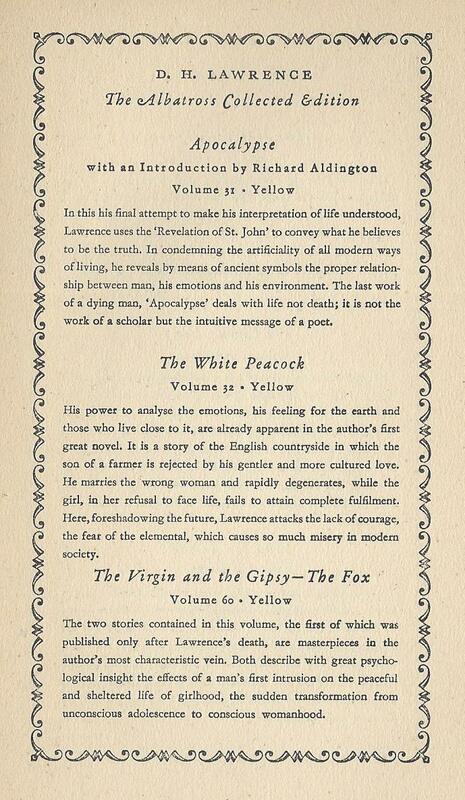 By the end of 1938, there were a total of 17 volumes of Lawrence in the Albatross Collected Edition, if ‘Lady Chatterley’s Lover’ (always kept slightly separate) is included, but his contribution didn’t end there. Before the war intervened, there was still time to publish three thick volumes of Lawrence’s letters, taking the total up to 20 volumes. Finally it could be said that the combination of Albatross and Tauchnitz had done justice to Lawrence’s place in English literature. 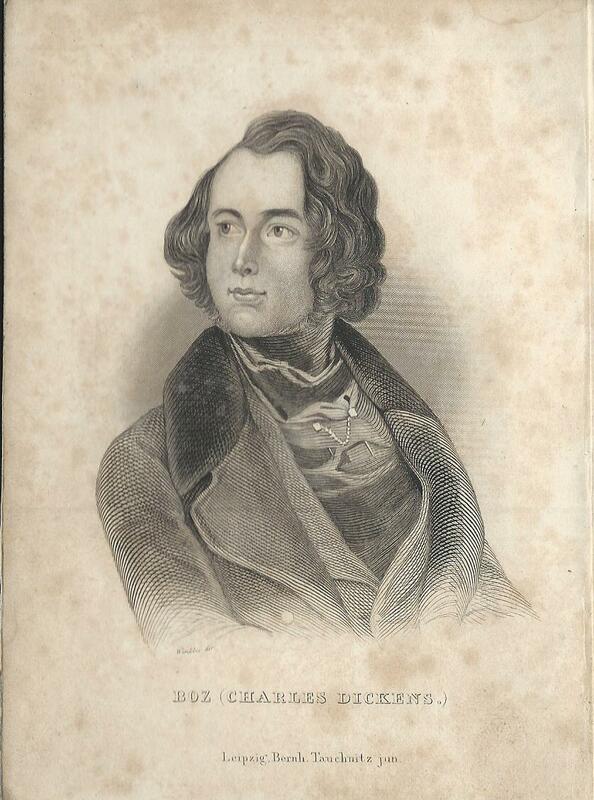 Charles Dickens played a key part in the publishing history of Tauchnitz. 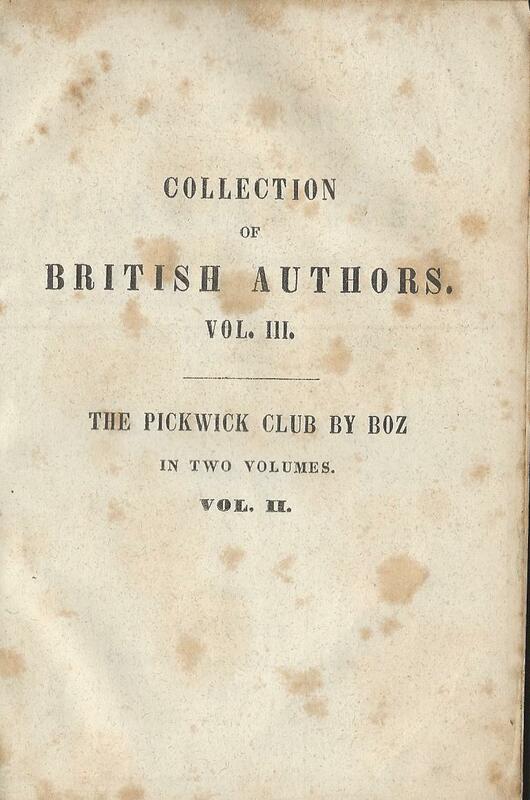 The Pickwick Papers was published as volumes 2 and 3 of the Tauchnitz series that eventually ran to over 5000 volumes, and Dickens was one of the first authors to agree to the Tauchnitz proposal of voluntary payment in return for authorisation, in the days before copyright. Almost all the works of Dickens were published in the Tauchnitz series, including 47 volumes of stories reprinted from ‘Household Words’, the magazine edited by Dickens. The two men enjoyed a close friendship, and a long correspondence. But Tauchnitz also played a key part in the publishing history of Dickens. After that landmark agreement on authorisation, Dickens or his publishers would supply Tauchnitz with early copies of the text of his novels, in the form of proof sheets or part-issues. Tauchnitz was able to bring out a continental edition almost simultaneously with the UK edition, or sometimes even earlier, so that in some cases the Tauchnitz edition is the worldwide first edition in book form. Nobody quite know how many of the Dickens novels this applies to. It needs book historians to carry out a lot more detective work yet. 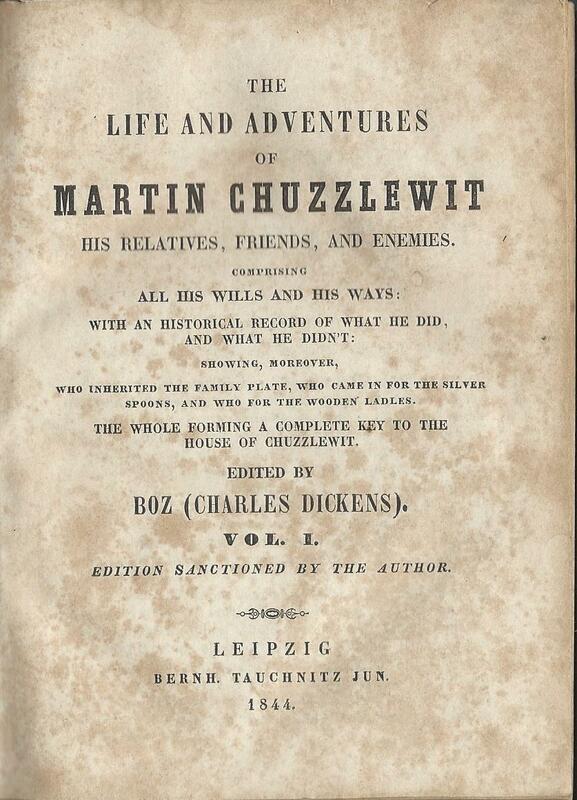 But certainly one example is ‘Martin Chuzzlewit’, the first of Dickens’ novels to be published in an authorised edition by Tauchnitz. 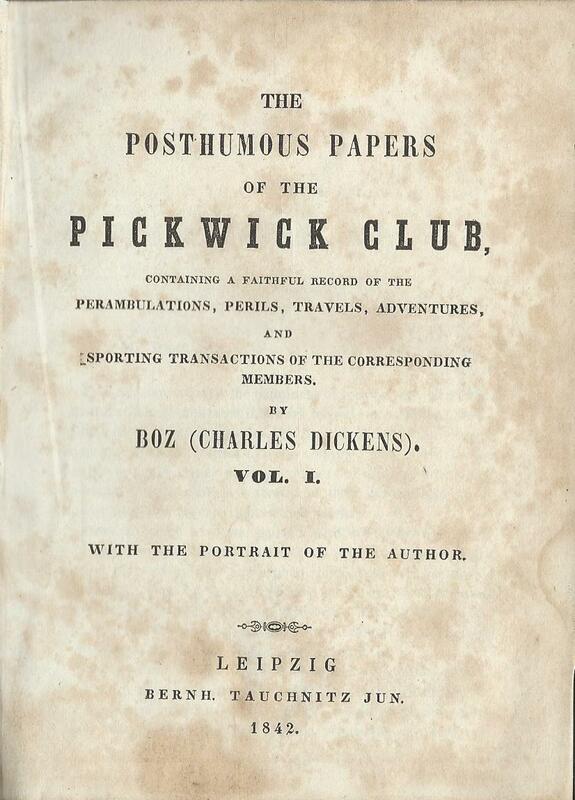 The agreement had come in 1843, after Tauchnitz had already published 7 unauthorised volumes by Dickens, including ‘Oliver Twist’ and ‘Nicholas Nickleby’ as well as ‘The Pickwick Papers’. 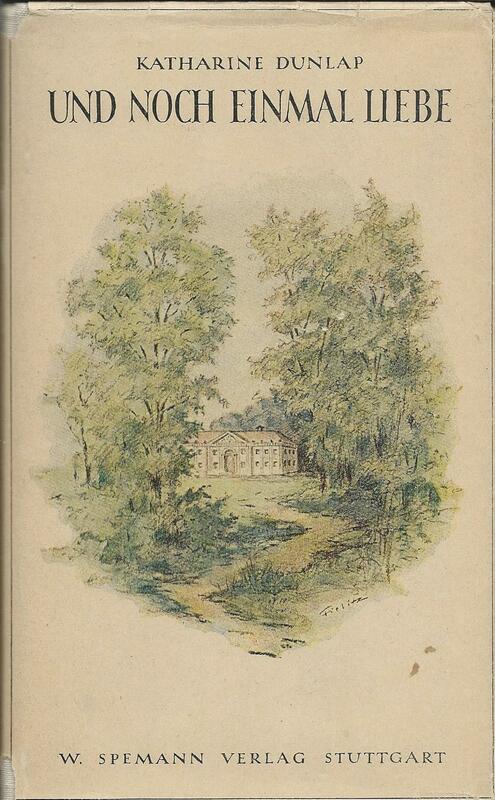 The publication of ‘Martin Chuzzlewit’ had already started in monthly instalments in the UK and would continue through to July 1844 before a complete edition of the novel in book form was published. 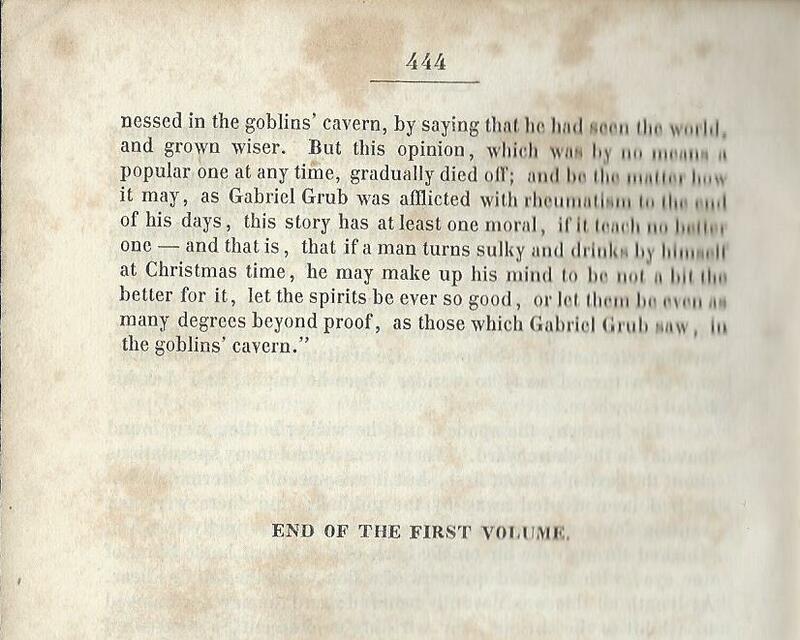 But by December 1843, in return for payment of £5 10s, Dickens was able to issue the first volume of the book, covering chapters 1 to 25 (almost the first 10 parts). This volume appeared 6 or 7 months ahead of any publication in book form in the UK. The second volume of the book appeared in the Tauchnitz edition in July 1844, almost at the same time as the UK edition. 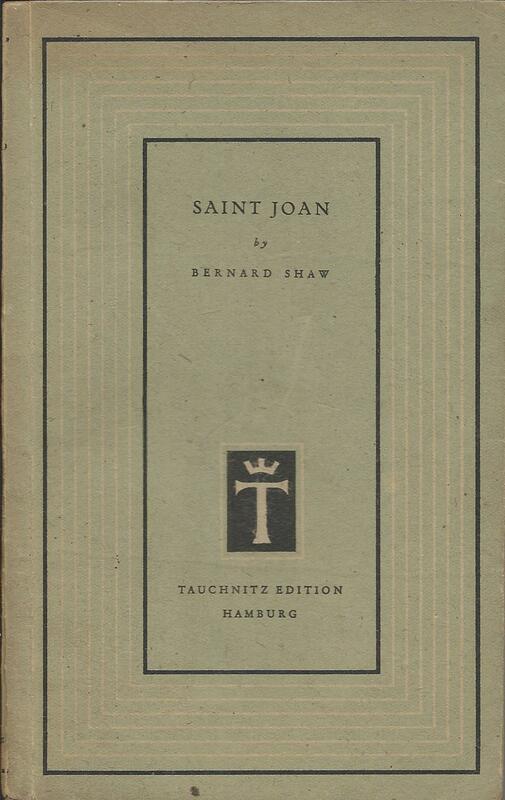 Like all Tauchnitz editions, it was published as a paperback, but the tradition on the continent was that many of the buyers would have the books privately bound by a book-binder. 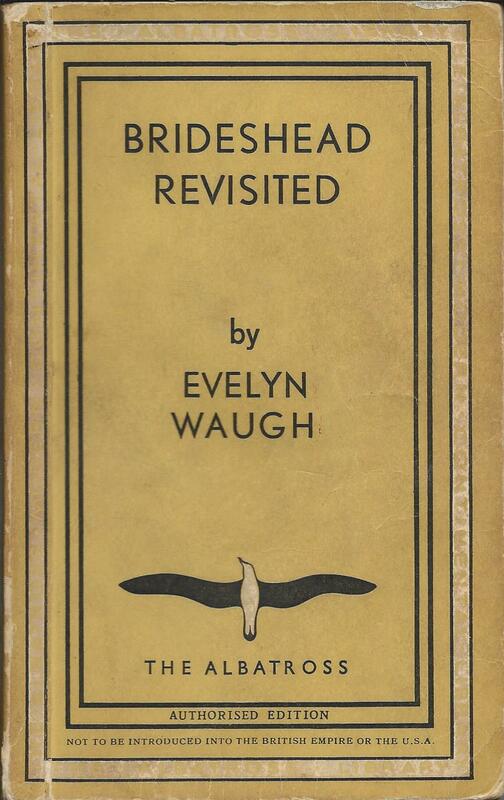 It is very rare for early editions to survive in paperback form, but easier to find copies in a variety of private bindings. 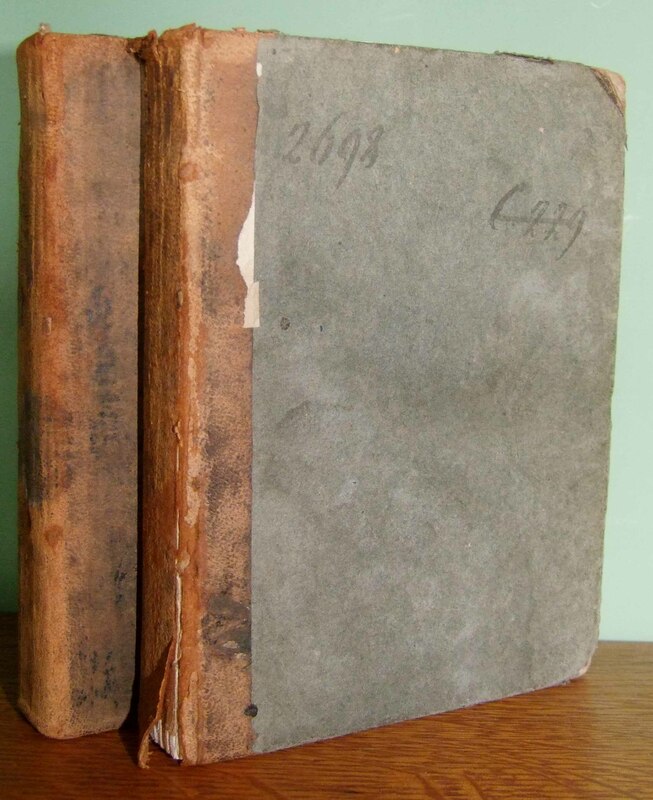 Unfortunately most bookbinders would discard the paper covers, and often the half-title as well, which provided the only reliable evidence to identify first printings. 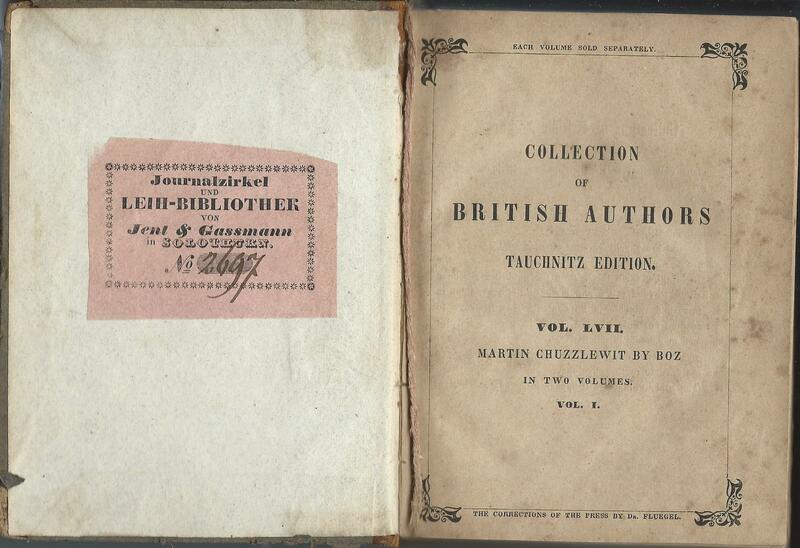 So many of the remaining copies of ‘Martin Chuzzlewit’ in the Tauchnitz Edition cannot be reliably identified as being from that very first printing in 1843/1844. Certainly if the publisher’s name on the title page is shown as ‘Bernhard Tauchnitz’ rather than ‘Bernh. Tauchnitz Jun.’, it is not a first printing, and comes from 1852 or later. 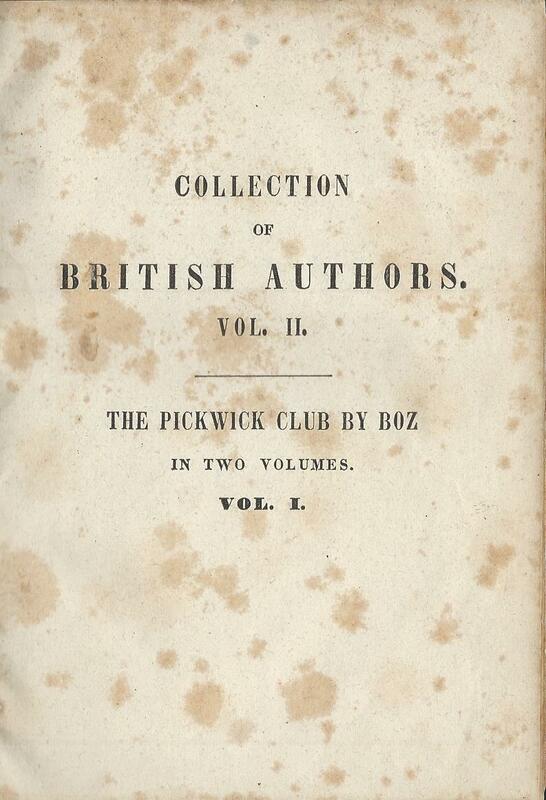 If the title page refers to ‘Copyright edition’ rather than ‘Edition sanctioned by the author’, again it cannot be a first printing and comes at the earliest from 1846, when the first copyright treaty between Britain and Germany came into force. So first printings must show ‘Bernh. Tauchnitz Jun.’ and ‘sanctioned by the author’ on the title page. But there is no way at present of telling whether more than one early printing share these features, so the only way of being absolutely sure that a book is a first printing, is if the original paperback covers survive. Fortunately there is at least one copy where they have survived, and it’s a rather unusual copy. It seems to have been acquired by a circulating library in the town of Solothurn in Northern Switzerland, effectively a small business that acquired books and lent them out for a fee. The German term is ‘Journalzirkel und Leih-bibliothek’, which seems to suggest that it circulated journals or magazines as well as lending books – almost a cross between a library and a reading group. The books are in a rough binding and the first volume has their bookplate inside the front cover. Crucially it also has the original paper covers bound in. 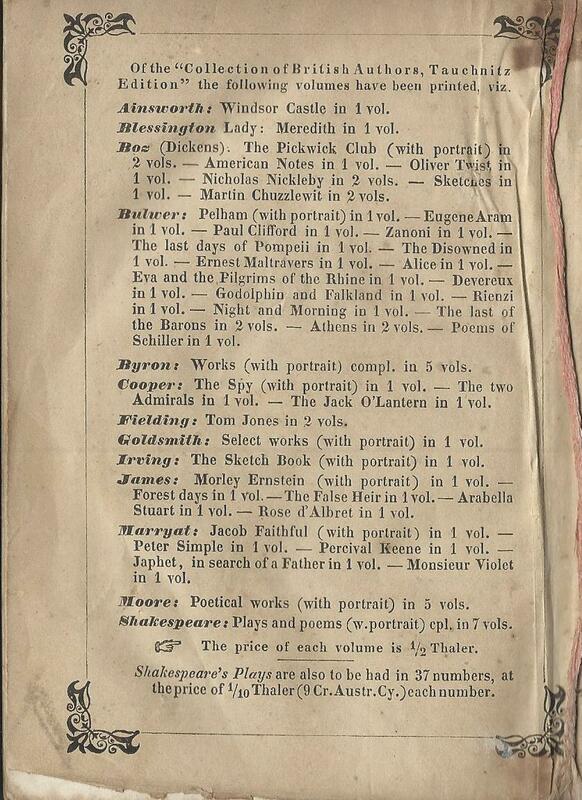 The back cover shows a list of the other books printed in the Tauchnitz Edition, and includes only those books printed before December 1843. 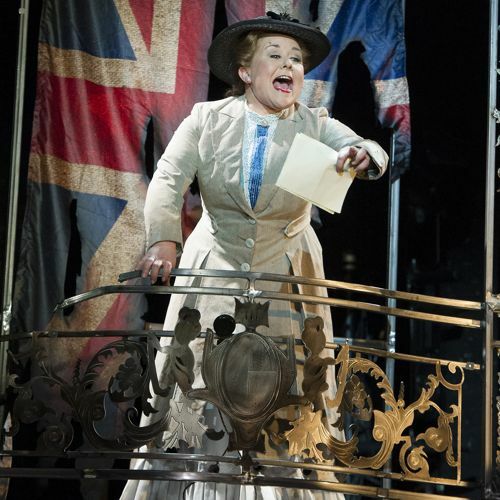 The reference to ‘Martin Chuzzlewit’ in the list mentions only volume 1 as having been printed. 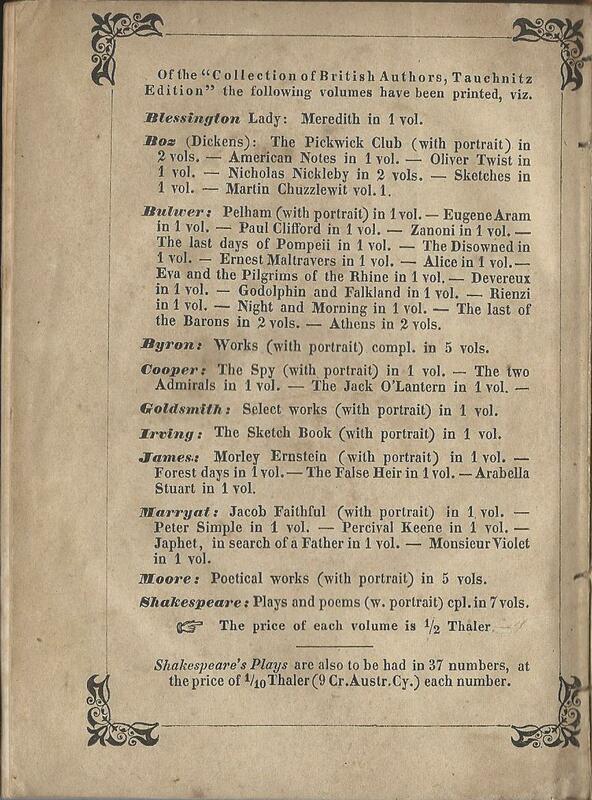 The similar list on the back of volume 2 refers naturally to both volumes and also includes a further 5 volumes printed between December 1843 and July 1844. This looks to me like fairly conclusive evidence that both volumes are from the earliest printing, and in particular that volume 1 pre-dates any UK edition other than the monthly parts, and any other edition in book form anywhere in the world. Volume 2 does not have the library bookplate, although it does have the same binding and the library number on the cover. 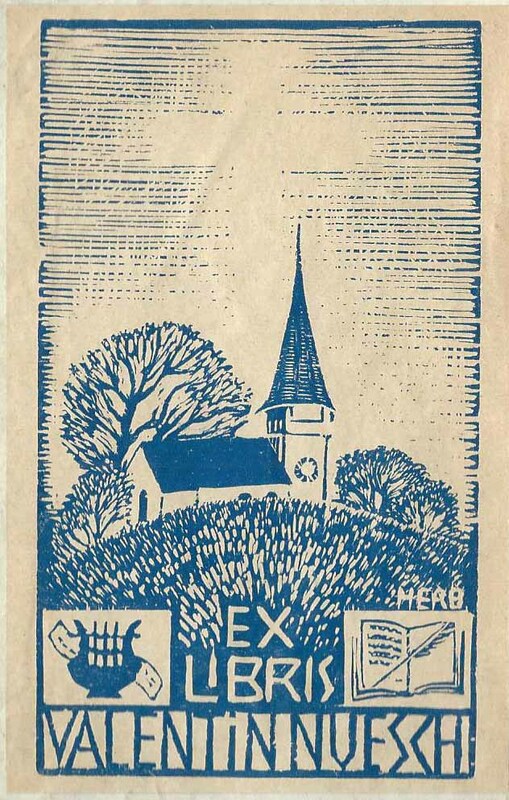 Instead it has an ex-libris bookplate for ‘Valentin Nueschi’, who presumably acquired the book from the library when they no longer wanted it. Circulating libraries had to be responsive to consumer preferences, acquiring the latest novels and selling on those that were seeing less demand. 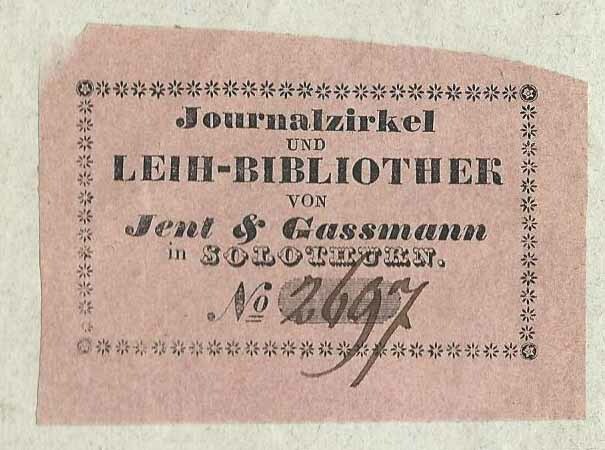 The firm that ran the library, Jent & Gassmann, seems also to have been a small publishing firm and linked to the printing and publishing firm of Gassmann, founded in Solothurn in 1780, and still existing today, now run by the 7th generation of the Gassmann family. They are presumably proud of their family’s history, but may not be aware of the small but significant part they played in the publishing history of Charles Dickens. In 1938 Albatross was riding high, publishing about 50 books a year under the Albatross brand and another 50 or so under the Tauchnitz brand. There were some problems in operating in Germany under a Nazi regime, but the business was an undoubted success, and there was clearly a market for English literature on the European continent. They were about to launch a new series of Albatross Giants, for novels that were too long for the main series. But the market for novels in the original language was inevitably limited, so it was a fairly natural extension to think of publishing English language novels in translation. 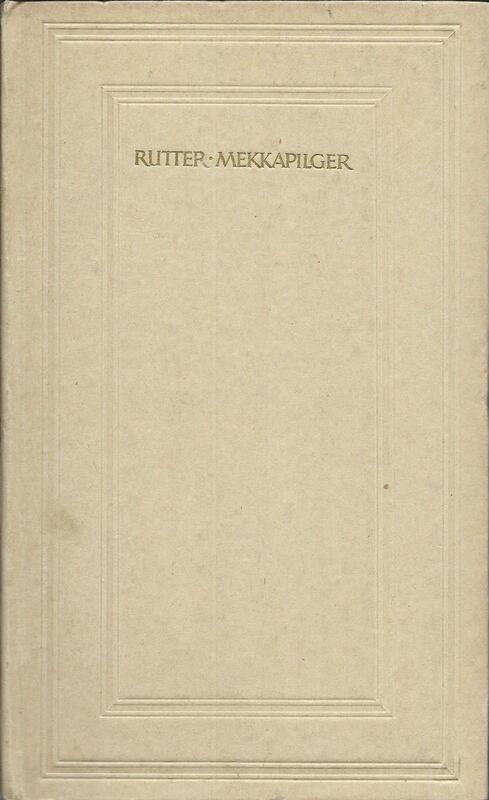 A single Albatross edition in German had appeared much earlier, in 1934, but that had been a one-off, a prestige publication to mark the release of a previously unpublished Dickens manuscript. There was no attempt at the time to follow this up with other German language publications, and it was not until 1939 that a series was launched under the title ‘Deutscher Albatros’. Even then, the books were not published by Albatross themselves, but by the publisher W. Spemann in Stuttgart. There was certainly still some involvement by Albatross though, and the books were printed by Brandstetter in Leipzig, who was not only the printer for both Albatross and Tauchnitz, but also at this point the owner of Tauchnitz. In recognition of this, after a first volume published only in Stuttgart, the title pages of the remaining pre-war volumes show the place of publication as Stuttgart and Leipzig. 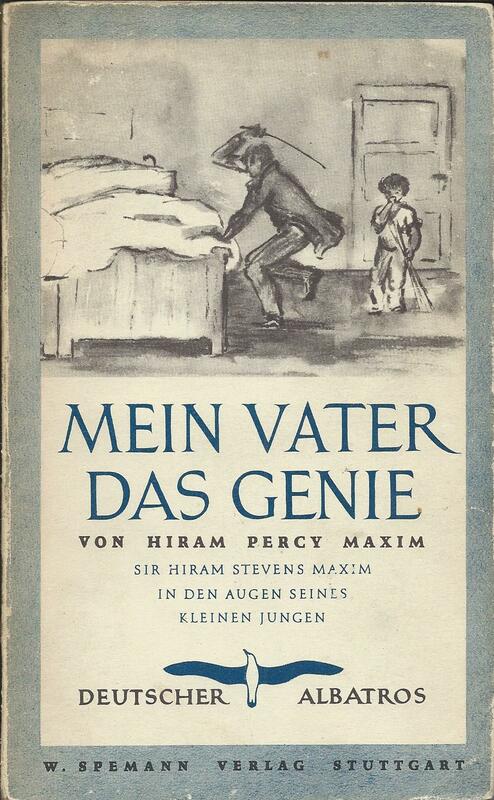 The first book, ‘Mein Vater das Genie’ was a translation of a book that had earlier appeared as Tauchnitz volume 5286. 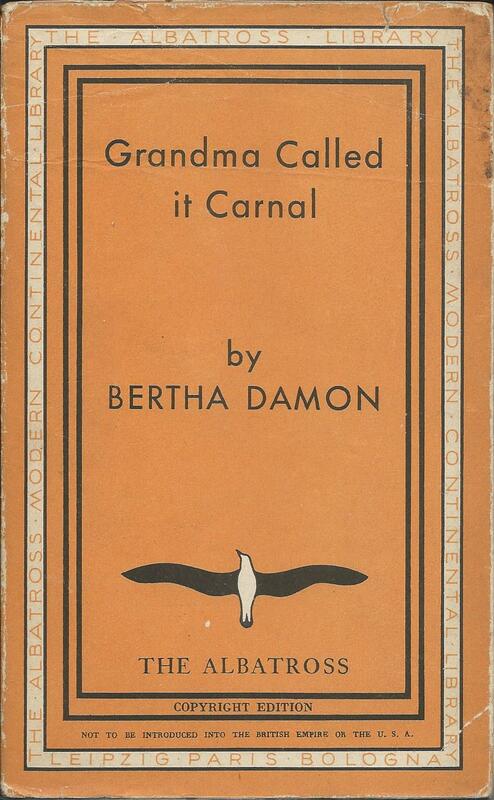 It was published in paperback, in a similar format to the standard Albatross and Tauchnitz editions, although with an illustrated cover, which is actually an integral dustwrapper, folding over plain card covers. 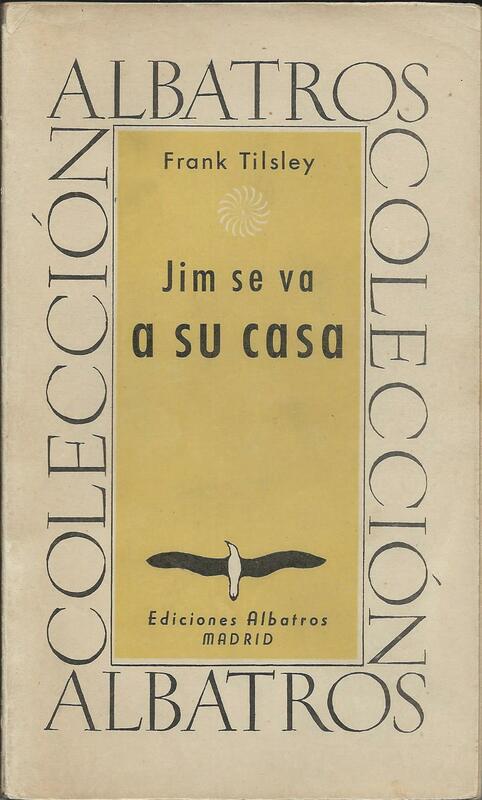 Advertising on the flap announced a further 7 books to be published, all translations of books that had appeared in either the Albatross or Tauchnitz series. Just three of these were published before the outbreak of war a few months later and as far as I can tell all three appeared only as hardbacks. After the war, another one of the books from the original list was published in 1946, although with some noticeable differences. 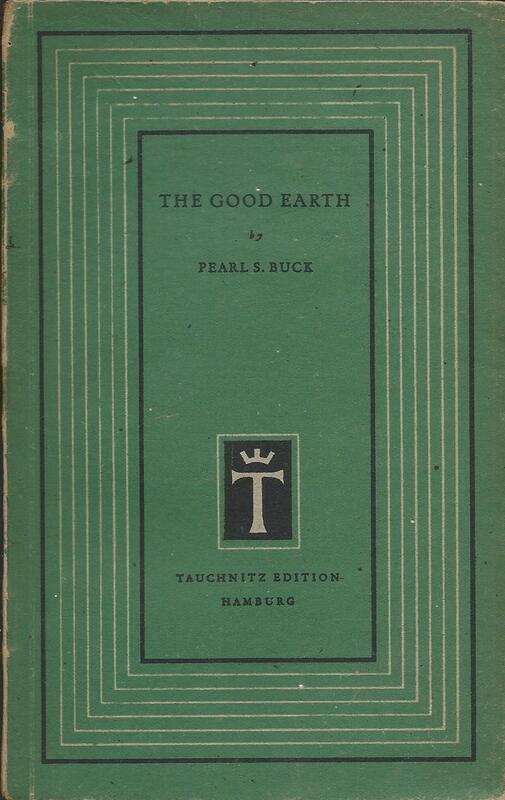 ‘Encore for love’ by Katherine Dunlap had appeared as Tauchnitz volume 5313 in 1938 and a translation with the title ‘Glückliche Tage auf Schloss Boisbrault’ was announced in 1939. By the time it appeared in 1946 as volume 5 of the series, the title had changed to ‘Und noch einmal Liebe’. Brandstetter, whose premises had been destroyed in a bombing raid in 1943, was no longer the printer, and the title page now again refers only to Stuttgart. Was this post-war publication approved by Brandstetter, who presumably held the copyright, or by Albatross whose brand and logo were being used? 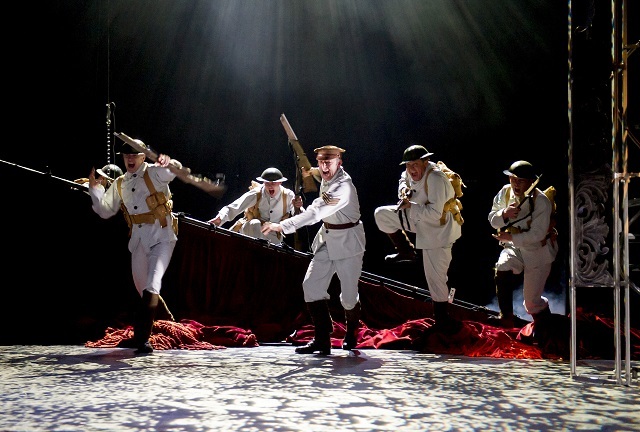 Or was it just resuming work that had been planned before the war, as if nothing had changed? At more or less the same time, rival Albatross and Tauchnitz firms, in Paris and in Hamburg, were publishing from the Tauchnitz backlist with probably little recognition of Brandstetter’s rights. Was Spemann a third firm doing much the same? 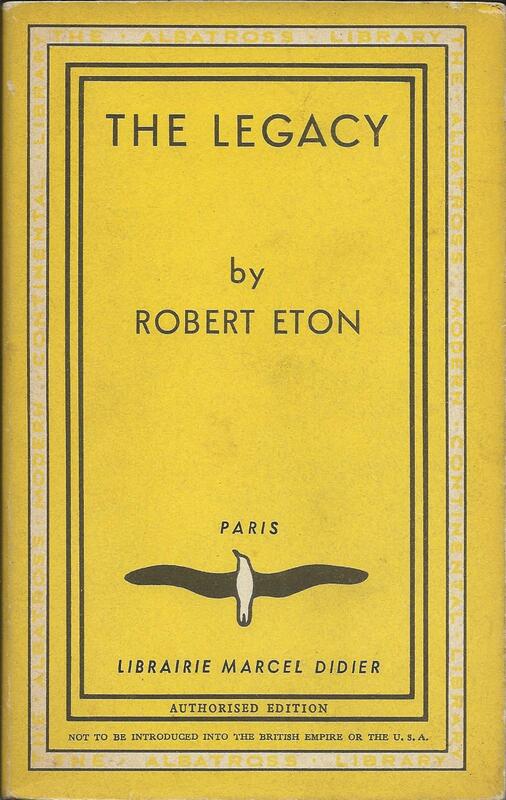 A sixth book in the series, ‘Silber in Burma’, again one that had been previously announced, was published in 1948, and at least two of the pre-war titles were re-printed around the same time. The two remaining unpublished books from the pre-war list are again announced, to be published in 1949, but I can find no evidence that they actually appeared. Were sales disappointing, or had Wolfgang Brandstetter asserted his rights, as he seems to have done with the Tauchnitz Hamburg operation?